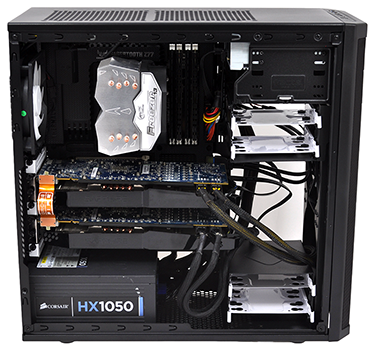 Building a powerful new PC on a budget is easier than ever before, and the process is helped by having a large selection of low-cost chassis to choose from. 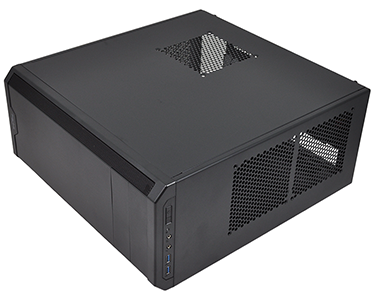 HEXUS recently came away impressed with NZXT's £60 Source 340, but Fractal Design is hoping to go one better with the Core 2500 which, if you shop around, could be yours for as little as £40. 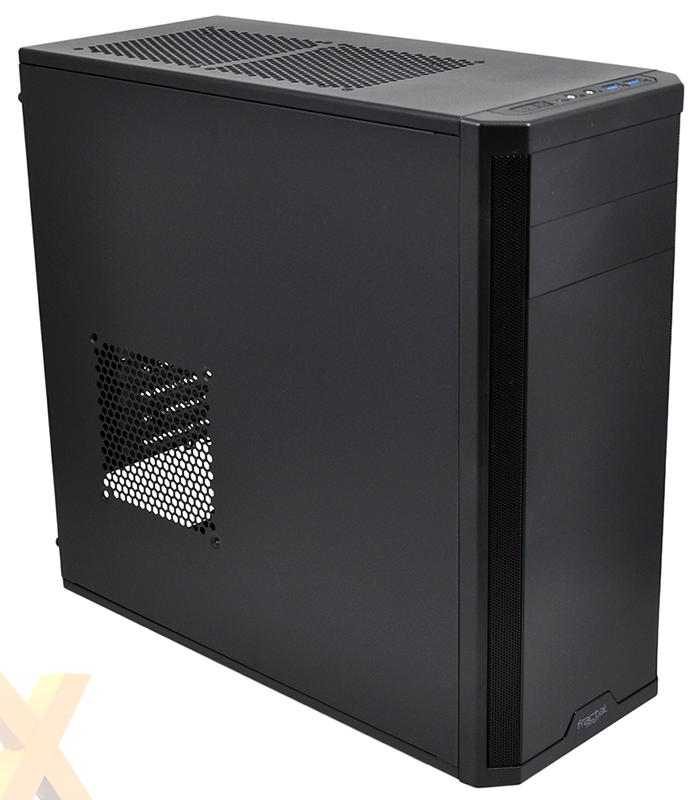 Standing 270mm x 547mm x 492mm in size, the Core 2500 is an unpretentious mid-tower solution that surprises through compatibility with a wide range of high-end components, including multiple graphics cards and plenty of liquid cooling. Built primarily of steel and outfitted with a plastic front face, this is a simple-looking enclosure that's nice and sleek in the flesh. The bevelled front edges are a nice touch, any installed optical drives fit seamlessly, and there's little to detract from what's a clean overall design. There's no side window to show off your wares, but Fractal's utilitarian approach covers most of the basics. The top I/O panel is home to a couple of audio jacks and two USB 3.0 ports, the bottom of the case is covered with a large removable mesh plus four plastic feet, and there appears to be fan mounts aplenty. It's a feature set befitting the £40 price tag, however you may miss some of the niceties available to premium enclosures. The bottom filter isn't stiff or magnetic - you have to manually align it with a dozen or so notches - the top and side fan mounts aren't filtered at all, and unlike Fractal's dearer Define series, there is no pre-installed sound proofing. What you do get, however, is a three-step fan controller that's powered via SATA and toggled via a small switch around back. 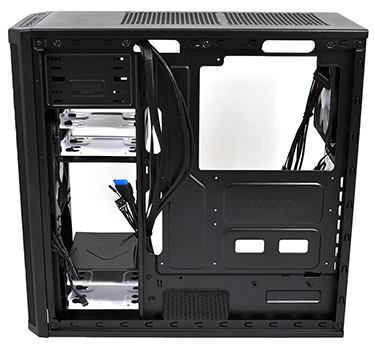 Both side panels are held in place by a pair of thumb screws and, though the steel material is somewhat thin, we like the fact that each panel is attached using a hinged design as opposed to awkward notches, making it easy to put the case back together. With the Core 2500 opened up, we get a feel for what the chassis could accommodate. 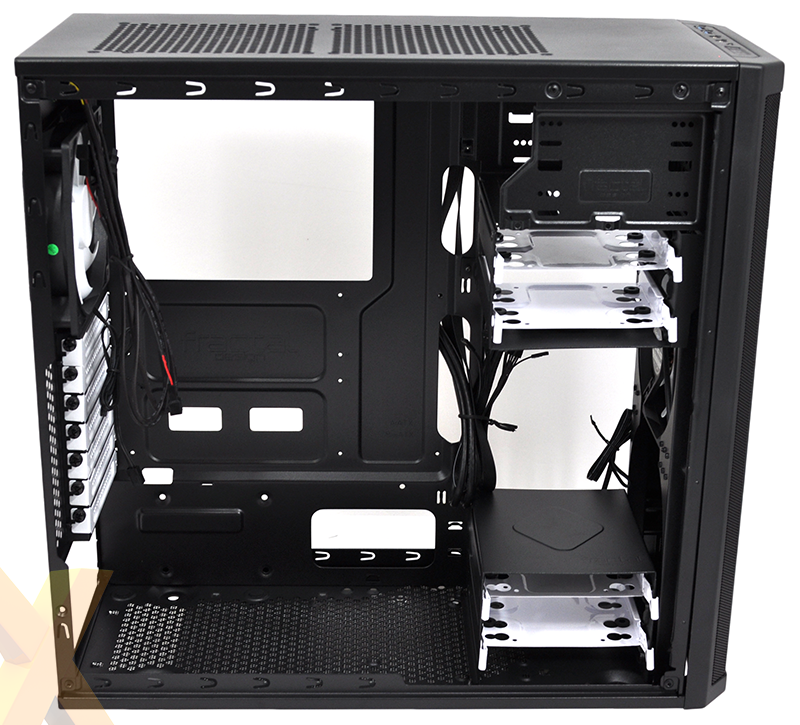 Amid the highlights are seven expansion slots, two 5.25in optical bays, four 2.5/3.5in drive bays split across a pair of removable cages, a bottom-mounted PSU bay and a dedicated 2.5in SSD slot on the back of the motherboard tray. The optical bays aren't tool-free, which is a minor inconvenience, however the 2.5/3.5in drive trays are thankfully made of metal and not plastic. 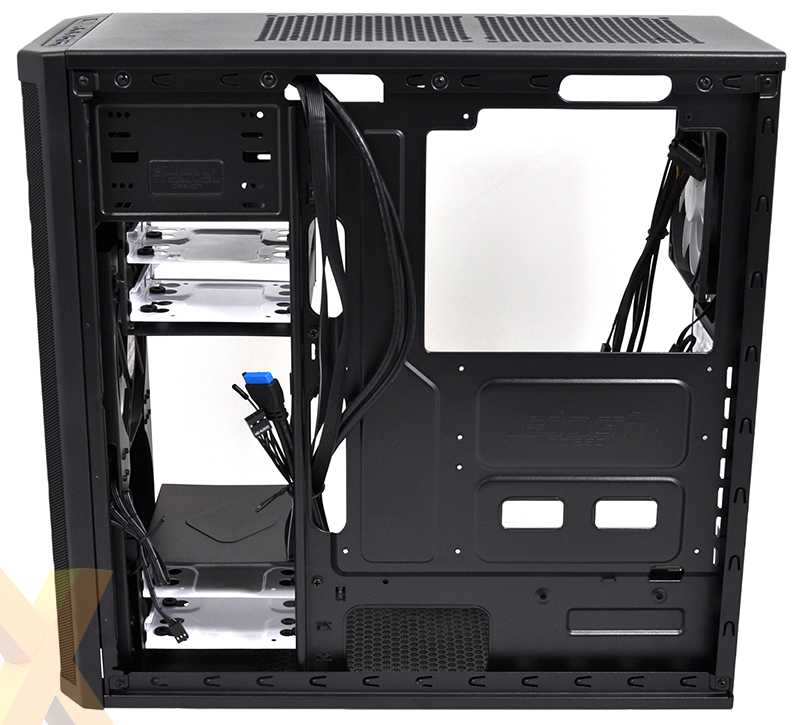 Cooling is provided by two good-quality 120mm Fractal Design Silent fans, and there's a reasonable amount of room to work with. Your choice of a Mini-, Micro- or standard ATX motherboard is supported, though if using the latter cable management does become tricky as the dedicated routing holes are partly obstructed. The build process is for the most part straightforward, though we did come across a few minor niggles while putting together our dual-GPU Z77 test platform. Firstly, if you're going to be using the rear 2.5in drive mount, remember to attach your drive prior to PSU installation - the screws aren't accessible when the power supply is in place, making future drive upgrades slightly more awkward than they might have been. 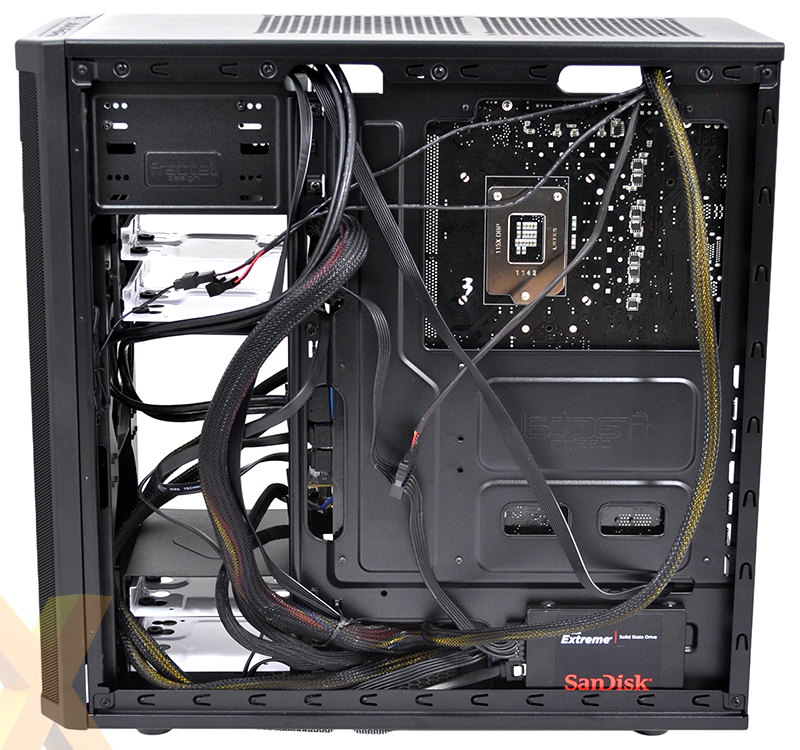 Secondly, there isn't a great deal of room behind the motherboard tray for excess cabling, so keeping clutter down to a minimum isn't easy. 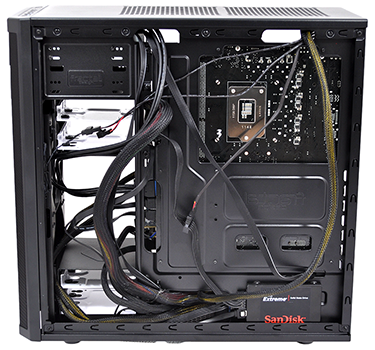 This is further complicated by a lack of tie-down points and a front-panel audio cable that's bordering on being too short. 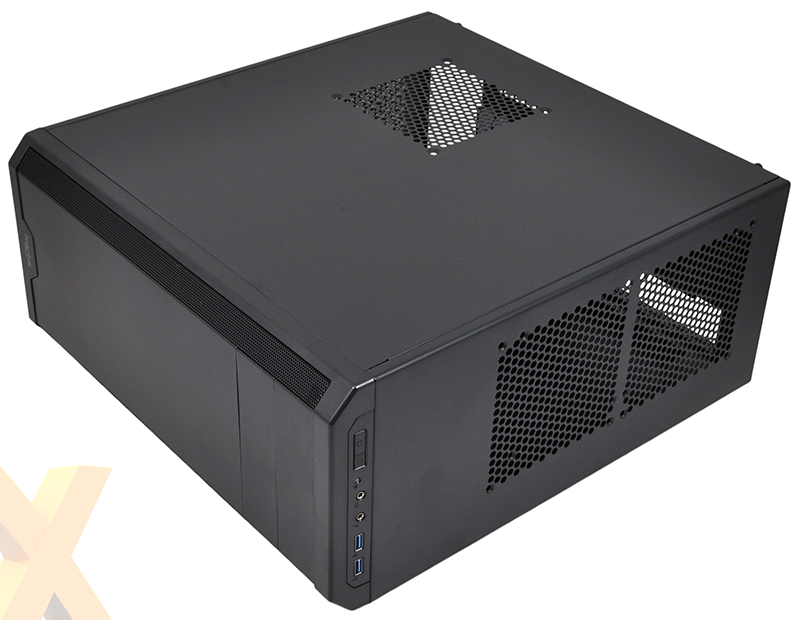 None of these are deal breakers, mind, and while upgrading to the £70 Core 3500 would buy you a side window, rubber-grommeted holes and a little extra refinement, the Core 2500 is a fair deal cheaper and remains simple to work with. What's surprising is the chassis' ability to house multiple liquid radiators. 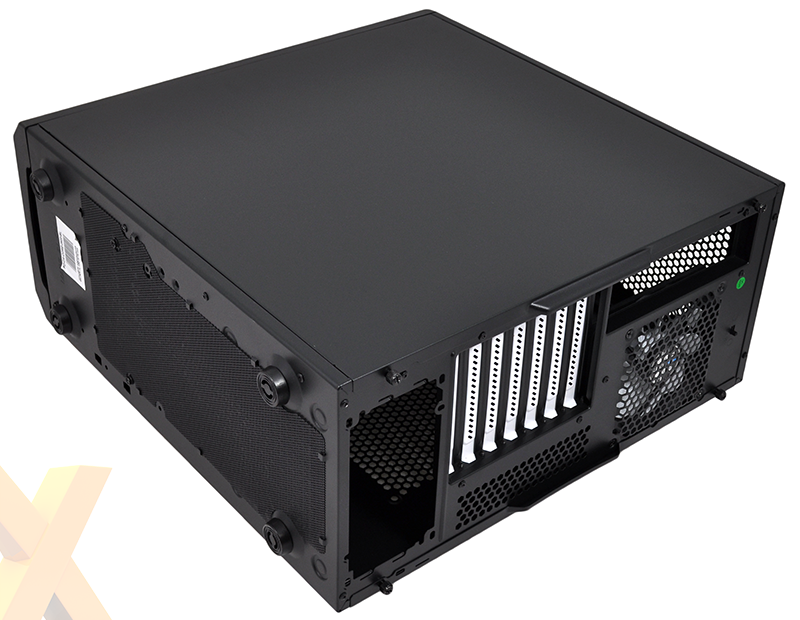 Despite its compact size, the Core 2500 could be home to a 120mm rear radiator, a slim 240mm top radiator and, if you remove the hard-disk cages, a front 240/280mm radiator - we know from past experiences that there's just enough room to squeeze in a Corsair H110i GT. Not bad for a £40 solution.